Thyroid cancer incidence in Hispanics and African Americans increased with an average change of 4.7% and 5.1%, respectively, from 2000 to 2009. In this study, the researchers investigated if this trend is maintained across age and gender subgroups. Publically available data on age-adjusted thyroid incidence were analyzed, including average percent change in incidence and trends in age-adjusted rates in 2000-2013 from the National Cancer Institute Surveillance, Epidemiology, and End Results (SEER 18) program. Overall, the incidence of thyroid cancer increased from 7.4 to 14.5 cases per 100,000 people, with an average change of 6.7% from 2000 to 2009. For non-Hispanic whites the average percent change in thyroid cancer incidence decreased from 7.1% before 2009 to 2.2% after 2009. In contrast, the incidence of thyroid cancer in Hispanics and African Americans increased with an average change of 4.7% and 5.1%, respectively. When separated by age group, incidence increased among people aged 20 years and younger, stabilizing after 2009 among people aged 75 years and older, with average change of 1%. Rates decreased in both males and females, with an average change of 2.3% and 2.8%, respectively. When subgroups were combined by rates, Hispanic females aged 20 to 49 years had the highest average percent change without any evidence of declaration. 1. 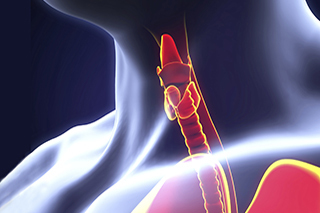 Kotwal A, Brito JP, Bleyer A. Thyroid cancer incidence continues to rise in young, Hispanic and African-American populations in the United States. Poster presented at: ENDO 2017; April 1-4, 2017; Orlando, FL. Abstract SH04-6. 2. Morris LGT, Tuttle RM, Davies L. Changing trends in the incidence of thyroid cancer in the United States. JAMA Otolaryngol Head Neck Surg. 2016;142(7):709-711.